Babalu Tacos & Tapas is a great new restaurant in the Overton Square area. 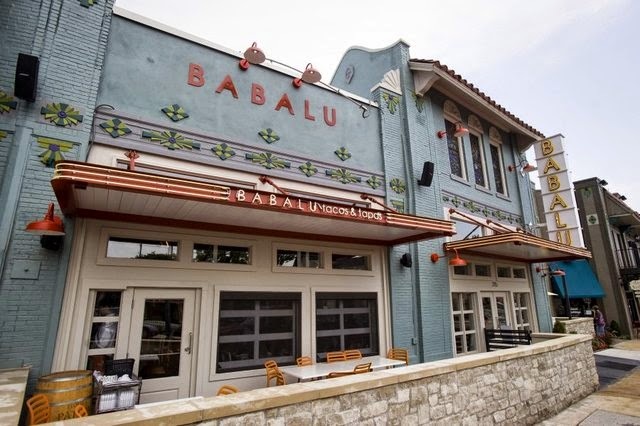 Located right next door to Sweet Noshings, Babalu opened this past summer (2014). Babalu is often packed on evenings, but you can get a drink at their bar while you wait on your table. Although their name emphasizes the tacos, the regulars will tell you to order the burger, complete with an amazing sour dough bun. Definitely get the tableside guacamole as an appetizer; it’s also a favorite. This entry was posted in Bar, Burger, Overton Square, Tapas by Trevor Knight. Bookmark the permalink.